If you look east from Mesilla, you can see the Organ Mountains. The highest peak in the range is 8,990 feet. 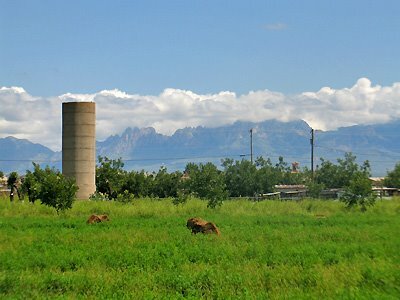 Here’s a view of the Organ Mountains from the north end of Mesilla, across an alfalfa field.